Get ready for some doodling fun! 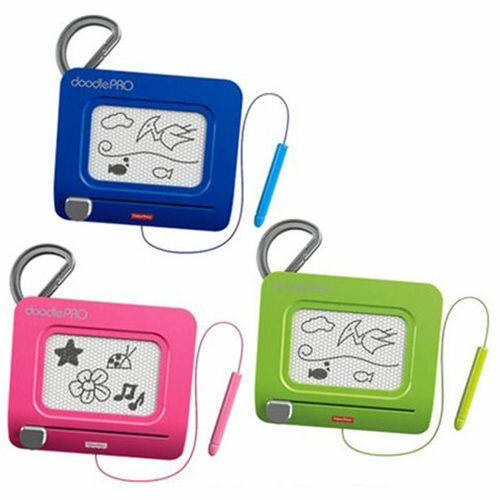 The Doodle Pro Clip offers hours of classic mess-free drawing, doodling, and travelling fun in a sleek updated design! Little ones will have a blast with the attached screen saver pen, a magnetic drawing screen, and a handy clip. When it is time to start over, the easy-slide eraser cleans the screen so they can draw over and over again! This Doodle Pro CLip Pad Case contains 6 individually packaged pads.